Super Punch-Out!! is a game in the Punch-Out!! series, and the successor to Punch-Out!!. Super Punch-Out!! 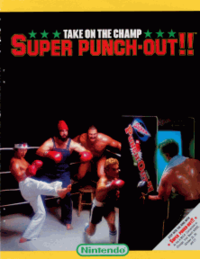 plays like the original Punch-Out!! arcade game, but with a different set of larger and stronger boxers. This page was last edited on 23 March 2019, at 22:34.